Last weekend, as a sub-lede under the “Leo’s World” featurette, I ran a fantastic article/research piece from Leo Strawn (linked below) — which really could have been its own lede (and would have been, had it not been for the timely Warner Wolf piece, which was also outstanding). That was merely part one of three. As the CFL winds down toward the 104th Grey Cup, I wanted to spend some time sharing some (I think) cool and (definitely) unusual Canadian Football uniforms. This is the second of three Canadian football uniform articles; the first one ran last week. I want to start off with a couple of updates regarding that piece. Regarding the mono dark blue Argos uniforms, there was a typo that said “In the early 70s…” I meant to type “early 60s”, but even that was wrong. UW reader John H. gave me a head’s up that the photo I initially thought was from 1961 (and I mislabeled as “early 70s”) was actually from 1965. As I continued digging for photos for these last two CFL articles, I discovered he was 100% correct, and as far as I can tell, Toronto wore those during the 1964-66 seasons. Always appreciate people catching typos, duplicated or incorrect links and errors! Another quick note: I stated last week I hadn’t seen any old mono uniform photos of the Alouettes aside from all white. While researching for this week I discovered two photos from the mid 60s in mono red! We’ll look at the East in part three and next week I’ll share those pics and some info on a couple of great Canadian football photogs whose photos were instrumental in putting this all together. So, yeah, I’ll just use locations and team names and simply ignore which franchise incarnation is which. And, because it’s Canadian Football, I’m going to skip the whole CFL USA thing. Besides, none of their uniforms were really very appealing, in my humble opinion, but I will quickly note before moving on that there were some unique jersey designs. British Columbia: Lots of notable imagery for BC. The Lions have had some of the best helmets of the West, as well as one that may rank as the worst, in my opinion. In their second season, 1955, they went with some widely spaced helmet stripes. After the era of those awesome mono orange uniforms from the 1950s, the 1960s started out with helmets I would like, if not for a certain team north of Columbus. The rest of the Joe Kapp era also had a pretty cool look. They have thrown back to this helmet numerous times over the past several years with a number of different variations on that theme (including a few I have yet to find photos of…anyone?). BC may have used their paw logo before anyone else in football wore anything similar. I like the sleeves on these jerseys. The Leos sported great sleeves again after changing jerseys which they combined with a unique helmet design in 1971. Those helmets coincided with British Columbia’s Canadian Confederation Centennial, thus the 3 Cs on the logo which surrounded a Pacific dogwood flower. Just prior to and after that season, however, they wore what always looked to me like a hand-drawn high school logo. I think this is one of the worst logos in the history of pro football. They eventually modified the concept, though I like it much better on white than silver. They also wore that logo on orange shells, though I haven’t seen a game photo of that one. Anyone? 2016 saw a further modification of that lion image but without the lettering, and this has quickly become one of my favorite CFL looks of all time. Calgary: I have a soft spot in my heart for the classic red Stampeders helmet for one simple reason and that’s because Calgary is the only large Canadian city I have ever visited. I was there in 1995. If you’ve ever heard of the Molson Ice Polar Beach Party, I was one of the winners from the USA (yes, we met Metallica!) and the city we all flew into, before moving on to Inuvik and Tuktoyaktuk, was Calgary. While there, I purchased a refrigerator magnet of that helmet (which sadly has disappeared and I have no idea where it went). There is nothing really notable otherwise about that helmet to me personally, but the Stamps have had some unusual helmets and a helmet with another logo familiar in the States. As I pointed out last week, the 1948 Grey Cup champions had some cool mono red unis with some odd leather lids. They reportedly wore a horseshoe Ã la NFL’s then-Baltimore Colts in 1960-61, but I have yet to find a game photo of 1960 or 1961. Anyone? A few years later, they began using the running horse logo I mentioned at the beginning of this section, which they still use and is identical to the SMU Mustangs. According to Chris Creamer’s site, the Stamps use of this logo (starting in 1968) began after SMU first used the logo. Aside from a couple of one-off helmets (another one I haven’t located a photo of…anyone? ), Calgary’s helmets have featured this logo for around half a century, with various shell colours, striping and even a gradient. Edmonton: If you like this team, you probably like the classic Green Bay Packers Edmonton Eskimos look that they have not strayed far from during the past (roughly) 50 years. Prior to that, the Esks wore golden domes, plain and with the EE logo. They have worn yellow jerseys on occasion. Green helmets, too, along with some alternate helmets including the green ones Edmonton wore with the recent signature series uniforms. As mentioned last week, in the 1920s, they wore the nickname on front, in singular, on these (presumably) mono green uniforms with some cool striped socks. Saskatchewan: Once known as the Regina Roughriders, the team decided to represent the entire province of Saskatchewan with a name change around 1950. Looking at their uniforms from the 1930s with contrasting shoulders they certainly don’t appear to have been green and white. There is some speculation they used the same colour scheme as Ottawa (you can see the logo on the sweater worn by the man on the left in this team photo of the Regina Roughriders from 1934) and apparently the 1910 Regina Rugby Club used those colours, as Saskatchewan wore to commemorate their 100th anniversary. The green Riders have had some very cool and unique helmets over the years. I always loved these for the same reason I’ve always liked the Seahawks and the USFL Jacksonville Bulls. Why not use the back of the helmet? Then there’s that oddly weighted S they used from the mid 60s through the mid 80s. 1965 saw a special helmet with a logo to commemorate the province’s diamond jubilee and in ’09 fans in Riderville got a glimpse of an early Saskatchewan logo on the team’s helmet. More recently, though I hate these uniforms, I have to say I really like this helmet. And that’s not the only instance of double green the Roughriders have worn in their history. Winnipeg: In the 1962 Grey Cup, a.k.a. the Fog Bowl, the Blue Bombers were the very definition of “simple elegance” as they defeated the Ti-Cats in what turned out to be a game played over the course of two days. Their helmets were a bit bolder a year prior when they also beat Hamilton for the Cup. I never really cared for the gold lids with the block W, a look they would keep for roughly 3 decades, but I have always liked the combination of the lightning bolt, reminiscent of the ’61 helmets, with the block W. As with the simple W, the lightning/W logo initially appeared on a blue shell, then again afterwards on gold, first with a white W, then with a blue one. I was sad to see them go back to the block W on gold a few years back. These look so much better, don’t you think? I also want to acknowledge the Bombers’ interesting blue digital camo signature series helmets, though I’m personally not a big fan of camouflage designs on helmets or uniforms. That’s a wrap for the teams west of the Ontario/Manitoba border. I’ll be back with a look at the Big Four cities in the east next week along with a few rare preseason photos, as well. This is in no way meant to be a complete look at all of the uniforms, but I hope you enjoyed, nevertheless. If you have any photos I noted in this week’s LW, please link in the comments! Thanks again to John H. for his assist from last week. P.S. I’ll be cheering for the Leos in the Western Final. Thanks, Leo! Great, great stuff, as always. We’ll be back with the third and final installment next Saturday! I have colorizations, or should I say “colourizations” today, from the suddenly (and awesomely) prolific George Chilvers. George is back to soccer football colorizations, but not (technically) of unis, this time. But that doesn’t make these any less awesome. It’s a football match in the early 1920s at the Stadion Landhof in Basle in Switzerland, and the crowds are filling every free vantage point to view the game – including some very precarious viewing for even women and children in the partially built neighbouring apartment block. I’ve also included a picture of what the ground looks like now. Thanks, George. Great stuff as always! Earlier this week, on Monday, Paul posted a photo of our victorious Curling Team in the league in which we curl on Sunday nights. It’s only the beginning of the season, but so far we’re 2-0. Notice, Paul’s box got the Official Uni Watch color treatment! Jimmy also played around with a couple different color combinations for the whole set, which you can check out here. Thanks, Jimmy. That was funny! Some looks, via Twitter, at what you’ll (probably) see on the NCAA Gridiron Today. Is it me, or do these look like the OLD style LSUnis? — the shoulder stripes now are much longer. In case you missed it on Friday, this has been a big year for custom-designed NFL cleats. You might think the sneakers companies are the ones coming with the custom designs, but a lot of them have actually been produced by two guys in Buffalo (including the pair they created for Bills running back LeSean McCoy, shown here). Baseball News: Check out this Jackie Robinson game-worn Brooklyn Dodgers cap (c.1949-50) Note how the “B” logo was a patch stitched onto the cap (great spot by Bruce Menard). … According to this item in their online store, it appears the Iowa baseball team is adding a throwback cap for 2017. Submitter Jesse Gavin adds, “I don’t know for sure, but I’d guess they’ll wear it with their gold throwback jerseys. In the past, they’ve worn their standard home cap with those tops.” … Tweeter Gingersaurus Rex notes the 2017 AZ Spring Training Logos were included in a Reds email about schedule. … The New York “Mets appear to be selling the throwback cap with blue squatchee with the NE Logo,” says MetsPlus by Niko G., who asks, “Any chance the 86 uni returns in 17?” (I’m pretty sure that’s a “no”). But if you wanted to own one without the NE logo, you may be SOL now. … Coming in 2017 is this Reno Aces throwback jersey, (they are, obviously, a Diamondbacks affiliate). From OT Sports. … The Buies Creek Astros have a new logo (from Josh Claywell). Here’s another look (and a uni mock), from MiLB Promos. … According to this article, Chief Wahoo needs to go, sociologists tell Major League Baseball commissioner (from Jason Hillyer). … Yesterday marked the 5th anniversary of the new uni reveal in Toronto. Ian Hunter did a nice post on that. NFL News: What’s in a number: Ever wonder why a player on the Eagles wears a particular number? Find out the story of each number here (via Adam Cole, James Korkie and Paul). … The Cleveland Browns will wear their orange jerseys again, for their second and final time this year. … A “local newspaper” used the old style Dolphins helmet to plug their upcoming game against the Rams (from Troy). Looks like the Get It. … As you’re (likely) aware, the NFL will play the Monday Night game in Mexico, and here’s a look at the field (from Jake Adkins). … Dicks sporting goods in Maryland selling ‘skins color rush jerseys (from Joe Ciango). Hockey News: This photo from inside the Pittsburgh Penguins locker room shows the team apparently has an old Pirates helmet there (from David Hamen). … Ooooh, soxy: The Red Wings (then Cougars) played their 1st game 90 years ago yesterday. Their 1st win came days later against the Blackhawks. Check out those striped socks (from Cole Bury). … New uniforms for Tufts Men’s hockey (from Hockey In The CAC). … ASU (yes, they have a hockey team), wore black sweaters last night against Penn State (from Maria Canales). NBA News: If you look at the Wizards, um, mascot, it it appears as though a uni ad is on there. Jeppy Keith asks, “Have the wizards already sold ad space on their unis?” … The Milwaukee Bucks have announced dates for their “Fear The Deer” alternate court games. College/High School Hoops News: Curie, a Chicago high school, has some odd uniforms (from Mike Chamernik). Count me as not a fan of two-toned (or different color waist) shorts. … Gonzaga to observe Native American Heritage Month with turquoise jerseys in matchup against Bryant. … Marquette went with the track and field (new, lower cut) unis yesterday (from Nick Grodo). … Rough screen grab, but ASU and Tulane went color vs. color yesterday (from Joe Farris). … Kansas, who opened the season against Indiana in an armed forces tribute uni, wore them again last night vs. Siena (from Colton Lovelace). That game was color vs. color (from Keenan Soto). … The University of New Mexico Lobos had 50th Anniversary logos on their unis last night (from SkiWookie). … Michigan, now back with Nike Jumpman, wore their gold uniforms last night (from Hit The Glass). Grab Bag: Ever had a butter dish that didn’t fit your butter? Not to put too fine a point on it, but it might be a territorial thing. East coast butter sticks are long and thin and West coast sticks are thick and stout (nice find from Lindsay Resnick). 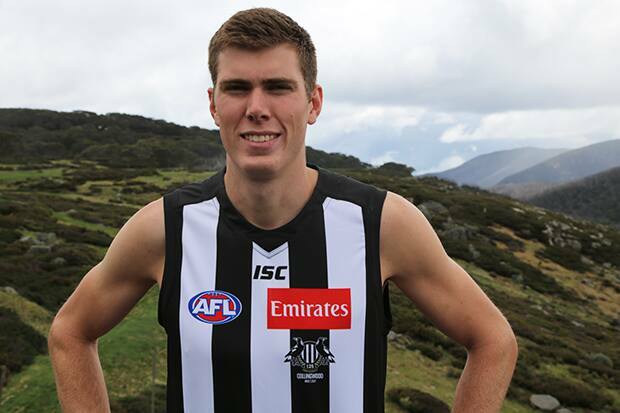 … AFL footy news: Our American Pie, Mason Cox, is looking good in the 2017 Collingwood Magpies jumper. In addition to the jumper sporting the 125th Season logo, the Pies also have a new manufacturer this season (from Leo Strawn, Jr.). … New singlets for Virginia wrestling (from UVA Equipment). … Couple cool items from David Firestone: 1950’s Original Sun Golden Girl cola tin; a Magnolia Petroleum Co. marketing terminal sign; and, a 1960s phone booth shell (that’s a rotary phone, kids). … Did you know they give out rings for NCAA Lax champs? Me neither, but here’s one for the North Carolina squad (from James Gilbert). … Also from James, this article has lots of good discussion of UNC logo’ed USS North Carolina, and this article has lots of pics. And that will do it for today. Big, YUUUUGE thanks to Leo for another outstanding contribution to the CFL uni history. Some great research there. Also kudos to George for the colourizaiton and Jimmy for the cereal boxes! Nice job with the Curling Krispies box, but it gives no description of what the cereal looks like: a bunch of rocks. Great CFL stuff again Leo! The Regina Roughriders did wear black and red up until 1948 (same colours as their eastern counterparts, the Ottawa Rough Riders). They changed to green and white in 1948. The team needed new uniforms to replace the old wool ones. A team executive member found a set of green and white uniforms at a surplus store in Chicago. They were of such a great price, he could not pass them up. Though green is now so much attached to the identity of the Saskatchewan Roughriders, they original switch was due to economics. No marketing research – they simply found a great price on some uniforms. In addition, in the last Riders photo where it is indicated that they wore double green another time in the past (besides the Signature uniform). It was the same green on the pants. The materials were different texture along the striping on the sides. Could look different depending on the sunlight. That photo is similar to the New York Jets phenomenon we have these days where they are having trouble trying to make the shades of green to be the same. Have a CFL uniform question regarding the Ottawa Rough Riders. Does anyone know if Ottawa ever teamed their home black jersey with the road red pants? Around 1980, the Rough Riders usually wore the home set of a black jersey with white pants, and the road set was a white jersey with red pants. Ottawa is up next week and I have discovered about half as many pics of them as I have the rest of the league. I’m not an expert, but I don’t recall seeing that combo in my research. Mono red and mono black or dark jerseys with white pants is all I’ve seen when the RRs or Renegades wore red or black jerseys. I’m not sure about the Redblacks because I haven’t dug through much of their (short) history. I would be quite confident in stating the Rough Riders never did wear the black jerseys over the red pants back in the day. Never seen it. There was not a lot of mix and match with pro football uniforms in the late 1970s. You had your home set and your road set which was pretty much the same week to week. It was black jersey over white pants and white jersey over red pants during that time. Thanks for that info, Wayne! I kind of wondered about those “double green” pants because in some photos the outer stripe looked almost black, for example. Still a cool look, though, no matter how they achieved it. Interesting that you mention the change to green in ’48 (which sounds like how the football Cardinals got their name and color scheme; buying old maroon jerseys that were so faded they looked “cardinal” red). Let me ask because it seems you have much more knowledge than I on these things: When did they change the name from Regina to Saskatchewan? Did it coincide with the colour change in 1948? I’ve seen years listed from the 1940s to early 1950s. Do you know what year, exactly? Ah, just dug into the article on that link and the club there indicates that the name change did indeed also occur in ’48. Good stuff! Thanks again for that link! Cheers – no problem at all :) . My name gets mixed up with Wayne lots. The Penguins hand out that Pirates batting helmet like a game ball to the player of the game, the same way they used to hand out the Viking helmet last season. Really digging these guides to CFL history. Thanks to Leo for writing them and to Phil for sharing them with us! Blue Bombers: The white W on gold is really a worst-case scenario for their helmet. Blue W on gold would be fine. White or gold W on blue would be terrific. My favorite Bombers too in the photos is from the Fog Bowl: the coach’s ballcap with a gold W on navy is the bomb. The coach in the Fog Bowl pic, in case you weren’t aware (us old guys know) is Bud Grant, long time coach of the Minnesota Vikings. He coached 10 years in ‘Peg before coming to the Vikes, where he coached Joe Kapp (ex-Stampeders and BC Lions QB). Both of them came to Minnesota in ’67. I was a huge Vikings fan as a kid and loved both of those guys! I must be in the minority but I love the Bombers white W on the gold helmet, and thankfully they went back to their 80’s/90’s throwback royal blue jerseys. This is the look I grew up with. Leo – send me your address and I’ll hook you up with another Stampeders fridge magnet. Thanks Gregg! Two down, one to go! Excellent Photoshop work on the cereal boxes! Hope to see more of your work in the future. I was going to do a cereal box for every team my father played on but he played on a lot of teams! and some teams like The Montreal in the CFL and The Flint Sabers in the minor leagues I don’t even have a picture yet? So maybe I will just do my nephew’s team now. 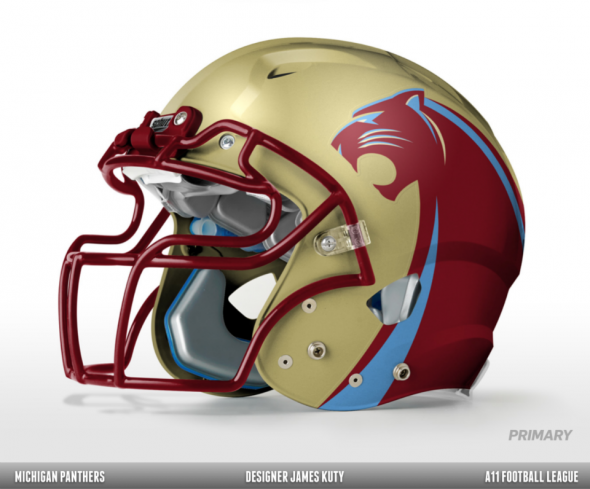 Aside from the colors, the ‘Leo’s’ new helmet reminds me of the USFL’s Michigan Panthers lid. Was actually going to mention that actually, but totally slipped my mind while putting this together. So much I wanted to touch on. Thanks for mentioning that! Anyway, that’s a big reason I like those. Michigan Panthers helmet is on my top 10 all time faves list, for sure, and the new orange BC lid might be too, now. Wow, I need to proofread these better before posting answers to replies. I “actually” see that I “actually” said “actually” twice in that first sentence. Never claimed to be a good writer, though, lol. Not to be that guy, but ASU hockey has worn black jerseys every single game they’ve been designated dark they have ever played as a D1 program. They don’t have a maroon jersey, and the whites are free of black and are paired with maroon gloves, pants, and helmets. mentions BC’s silver helmet with the black paw first being used June 20, 2003 vs Winnipeg. Thanks for those links, Will! Found a online newspaper b&w photo from 1960 showing the horseshoe Stamps helmet. Not the best quality; will try looking for a better one. Oddly, the helmet shown in that article matches what MG Helmets site says is the ’61 helmets. Maybe the lack of photos led to a mistaken belief that they didn’t have a center stripe in 1960? Still digging through another website (which I’ll mention next week) but I’m running out of hope that I’ll see one of those on there if I haven’t by now. BC Lions new uni sets are nice. Would love to see them wear an alt throwback, similar to Princeton’s new uni set. Although, how about something like the wing/striped leather with big block form lines, but in more of a claw type design. Never really liked Edmonton’s unis because they were/are way too similar to the Packers style, yet I love this. Looking forward to your Tiger Cats review. Speaking of BC Lions throwbacks, I liked the 1978-1989 set. In 1978, when they made the logo change, they also made the unique colour scheme change. They dropped black as a trim colour in favour of brown and switched to a white helmet. Of course, the black came back, but the Lions had some good years wearing the orange and brown. I honestly would love to see BC’s mono orange come back as a throwback, too! 100% agree with your assessment of Esks and I’m sure part of my dislike originated with my love of the Vikings as a kid (thus, hatred for all things Packer-related). I would like to see them wear green helmets full time, but I doubt that will happen. I liked the sig series helmet they wore, and even that would make a good looking helmet if they’d just reduce the size of the EE and ditch the jerseys they wore with them. No need to the ellipse around the EE on the helmet graphic, IMHO. Hope I don’t disappoint with the Ti-Cats next week. Cheers! In re: college football uniforms, I’m interested in cost. How much more does a team with multiple alternates, say Colorado or Washington State, spend on uniforms than a team that doesn’t, say Kansas State or Penn State? I know they all have different deals with the vendors, but I assume there’s still some outlay involved. Your UNC source led you astray with the all black confirmation… I was looking forward to seeing how it looked, too! Love how Princeton, an Ivy League school, has the hashtag “look good play good.” You’d think they care about grammar even a little! :P (And yes, I know that “look good play well” does not have the same ring to it. Somewhere (northern Virginia, perhaps?) 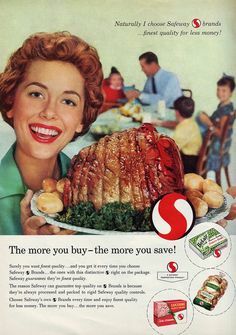 in the 70s, I saw a Safeway store with its classic logo. Once. Cut to the early 80s, where I watched my first ever CFL game, a matchup of the Roughriders and Stampeders. When I saw the oddly weighted S (and every time after that until they changed logos), I said to myself, that looks like the Safeway logo. More teams in more sports should do the double green thing. It’s a great look. I agree with the double green statement. I does look good. Caught my eye right away when I saw that photo of those pants! I am enjoying Leos CFL work. The CFL has always sort of intrigued me. George I applaud your colourization work. Impressed how you do the crowds or fans as good as you do. That extra touch takes a lot of time.